A happy family, and for one evening, we were all within the embrace, the whole crowd, everyone in the audience, and maybe all of Reno, too. 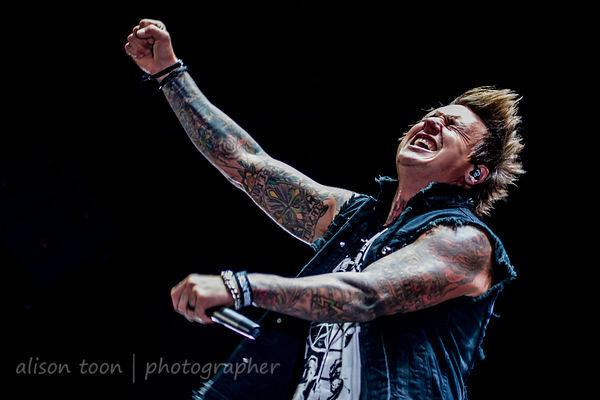 I last saw Papa Roach at Aftershock in 2013, in Sacramento, on home turf, under the hot, hot September sun. It was a love-fest, until, of course, the Wall of Death, when the crowd splits in two and then runs into each other. For those readers who haven't (yet) been to a metal festival or a Papa Roach show, the Wall of Death is like a circle pit, but in straight lines. OK... That description doesn't help? Think huge Black Friday shopping crowds waiting for shops to open on opposite sides of the same street, with doors unlocked at exactly the same moment, and everyone running to feed the shopping frenzy right NOW. That image work? That's the Wall of Death, but the feeling is much more satisfying than a cheap TV: the crowd divides, like the parting of the sea, and then... SMASH. If you think for a moment that the band doesn't care about people being hurt, forget that. It's all good fun, intense, good, fun. 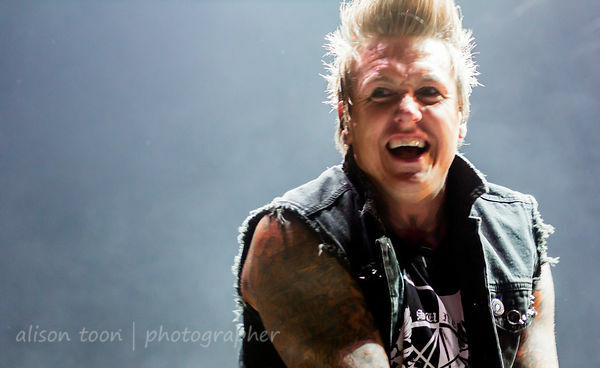 At one point Jacoby noticed someone in the audience needed help, and stopped, mid-song, until they were helped out and able to give the metal horns salute to show all was well: back to the crazy crowd that is a Papa Roach show. 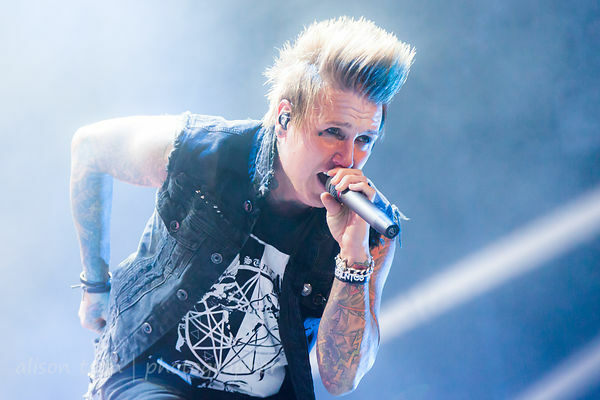 The latest album, and ninth studio album, from Papa Roach, F.E.A.R, was released early this year and is available in both CD and vinyl from the band's website, as well as your usual music outlets. The tour with Five Finger Death Punch continues throughout the USA and then on to Europe. Catch this tour--you won't regret it, but you might if you miss it. 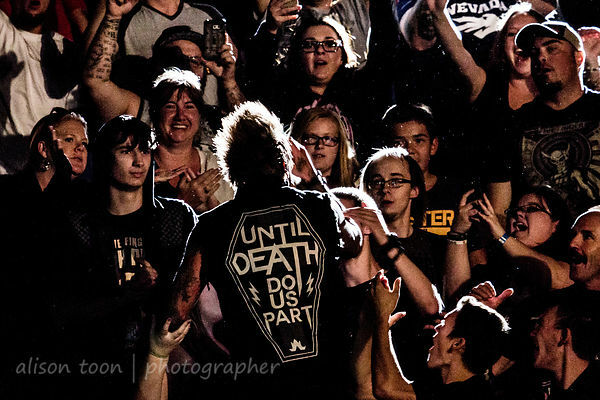 More photos from the Reno show in the Papa Roach Reno photo gallery, or just take a short cut by clicking on any of the images above. See the other reviews from the Reno show: Five Finger Death Punch, In This Moment, and From Ashes To New. Huge show, four very entertaining bands, and very well worth the price of a ticket and a two-hour bus ride from Sacramento.